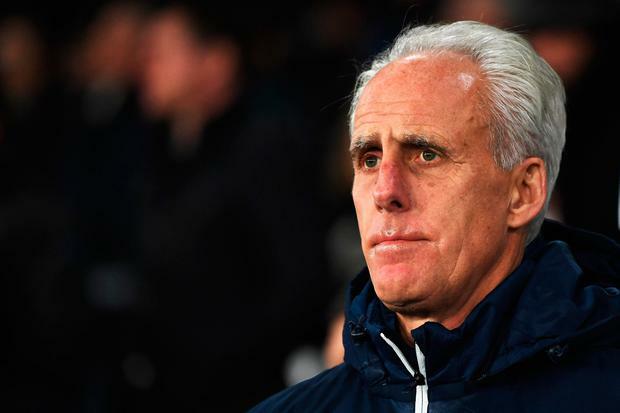 Mick McCarthy is among those under consideration to take over as manager of Sunderland after Cris Coleman was sacked by the club's new owners following their relegation to League One. The former Ireland manager, who left Ipswich Town earlier this month, had a three-year spell in charge of Sunderland between 2003-06 but, while he enjoyed success in the Championship, he struggled in the Premier League. The next Sunderland boss faces a rebuilding job working under a new regime, with Ellis Short having finally sold the club to an international consortium. Coleman became the first casualty of the new era. He had been determined to stay on and had even offered to take a pay cut, having led the club to relegation into the third tier for only the second time in their history. But the new owners want their own manager in place and do not feel the former Wales boss had done a good enough job to justify keeping him on. It is a shoddy way for the 47-year-old to depart, particularly as he appears to have been kept in the dark about the takeover. Little is known about the new owners, other than the identity of the man who is leading it, Eastleigh chairman Stewart Donald, who intends to sever ties with the National League club as soon as the Sunderland takeover has been ratified. Short has been a disaster at the Stadium of Light, wasting millions of pounds, but the American's final act was to clear Sunderland's external debts so that the new owners begin on a sound financial footing. Given the debt was listed at £110m in the most recent accounts, Short's gesture deserves praise even if his reign will not be remembered fondly. "It is no secret that I have been trying to sell Sunderland," said Short. "But I have waited until the right group came along that have the experience, finances and plan to take this great club back to where it deserves to be. "Overall, my chairmanship has not gone the way I would have wished; the many high points of a decade in the Premier League have been overshadowed by the low points of the last two terrible seasons. By Jonathan Veal, Press Association Sport Manchester City manager Pep Guardiola is waiting to find out the severity of Kevin De Bruyne’s injury suffered in the 1-0 win over Tottenham. Andy Hampson Phil Foden scored his first Premier League goal as Manchester City claimed a crucial 1-0 win over Tottenham to regain top spot in the table. By Press Association Sport Staff Raheem Sterling is one of six nominees for the Professional Footballers’ Association Players’ Player of the Year award and he was in action for Manchester City against Tottenham.